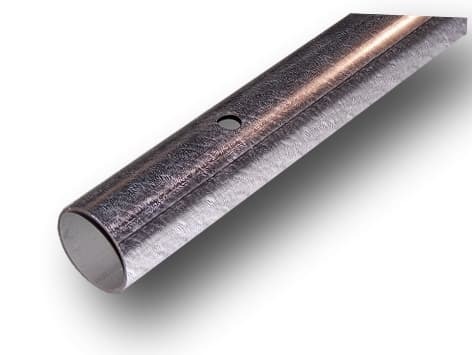 1.9 inch OD Galvanized Steel Post are another common size of post found throughout the dock industry. We offer these as they can be useful if you are trying to retrofit an existing dock that has post of this size. Please be sure to check your poles closely for the correct outside diameter. We do offer augers, bottom plates, post caps, stringer brackets, and crossarm clamps that will fit the 1.9 inch post size. Parts that can be used with the 1.9 inch post size have (1.9 inch OD) listed on them as an option at checkout.